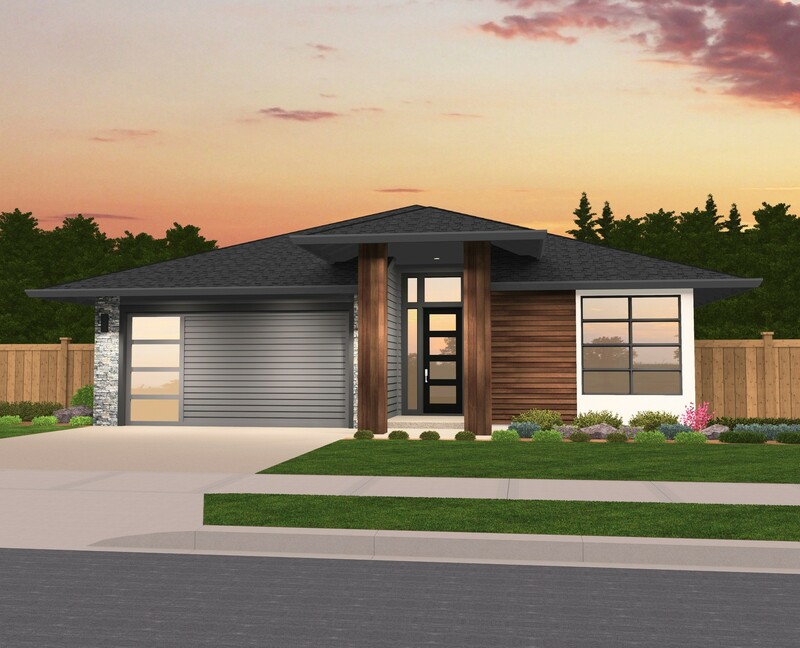 Modern One Story House Plan utilizing all natural materials evocative of the Pacific Northwest make this a sure winner wherever it is built. The key features in this home include an impeccable U shaped kitchen with large corner pantry and center island, perfect for gathering with friends and family. Just off the kitchen is a vaulted nook and Great Room, courtesy of the shed roof design. Adjacent to the Great Room is the Master Suite, luxurious master bath with double sinks, soaking tub, and over-sized walk in closet, making this the ultimate retreat. Additionally there are two comfortably sized bedrooms, full bath, utility room and outdoor covered patio. 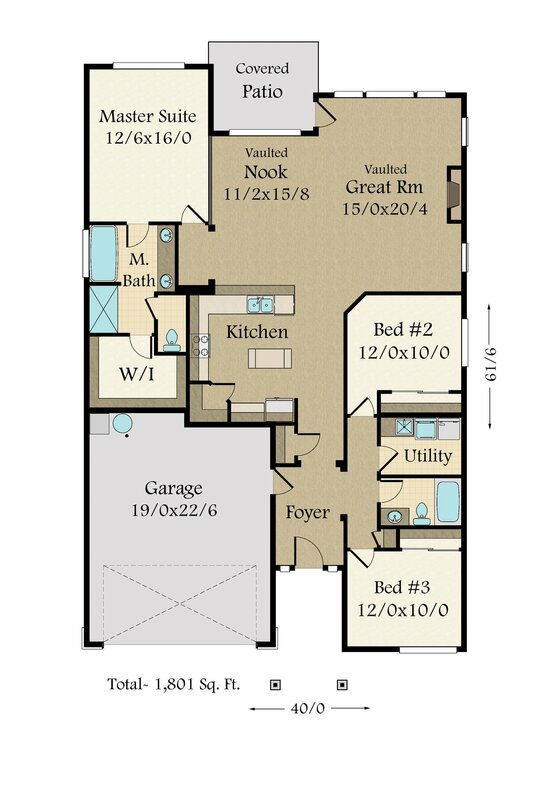 This house plan is a builder’s favorite and features an extremely well thought out design sure to please any and everyone.